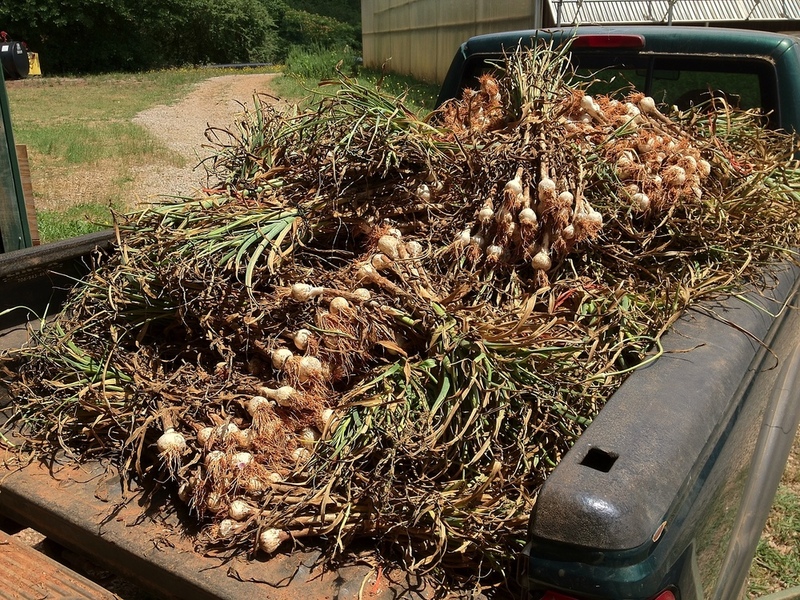 We just brought in the first of our garlic crop for the year to hang in the barn and dry. The guys worked 1/2 day Monday on the project, and we had great timing before the latest spring rain arrived to the farm. We are so thankful for the rain, and happy to have the garlic in the barn.